Winter is coming and the temperatures keep dropping, so why not warm up with new menu items from Eat’n Park! Read on to learn about all of our exciting new offerings! We’re bringing back a fan favorite from summer! 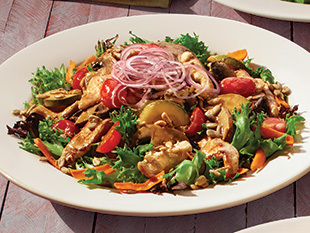 This salad features grilled, marinated chicken, cremini mushrooms, zucchini, and tomatoes over mixed greens with carrots, red onions, and sunflower seeds. It’s served with white balsamic vinaigrette for only $8.99! We would like to introduce you to Reuben’s cousin! This new sandwich features house-baked grilled Italian bread with sliced turkey breast, Swiss cheese, and our homemade coleslaw. Plus, it’s served with a side of your choice for $8.49! Our newest beverage addition is sure to warm you up even on the coldest of days! 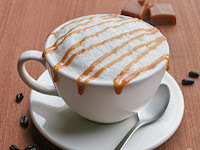 It’s the perfect blend of steamed milk, expresso, and French vanilla syrup topped with a rich caramel sauce. 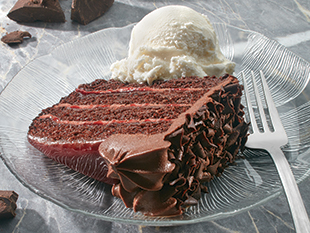 Enjoy this tasty treat (and one free refill) for only $2.99! Satisfy your sweet tooth with a slice of our Raspberry Chocolate Mousse Cake for $3. Plus, you can also make it a la mode for only $1! 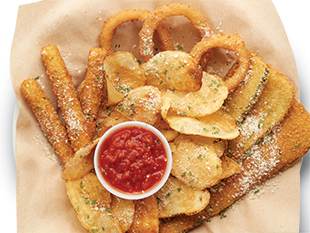 Exciting news: Our late night Build Your Own Appetizer is now available all day! It comes with fresh chips, plus your choice of three of the following: hand-breaded zucchini, potato pancakes, onion rings, fried cheese sticks, fried pickles, or even more chips! Share it with friends, or keep it all to yourself for only $7.99! All sandwiches now come with a side! 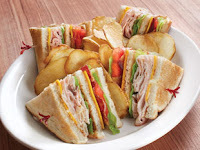 You asked and we answered: All sandwiches now include a side of your choice! So stop by, treat yourself and start finding your favorite sandwich/side combination! Holiday E-Gift Cards To The Rescue! Congratulations 2016 Ford Mustang Winner!